Naturally, there are no absolute rules as to the proportions and they can be changed to suit personal tastes, or the requirements of a specific dish. Other spices are also used, with Chili, Ajowan, and Aniseed making appearances, sometimes replacing one of the more common spices, or else being added in addition to them. In Bengal, mustard is often replaced by a spice called ‘Radhuni’. This is not widely used outside the region, however, and is not easy to find. A couple of years ago, when my wife was in Delhi, I asked her to try and find it for me but, although she scoured the spice bazaars, she was met with blank stares wherever she asked for it. Quite a few sources assert that celery seed makes a good substitute (as does Ajowan to a lesser degree), and it is curious, then, why mustard seed seems to have become its replacement outside Bengal. Here you can see two varieties of Fenugreek seed. The larger ones can be very hard and, in dishes that don’t involve any braising or stewing, they will remain so in the final result. Accordingly, it is best to choose the smaller type, if possible, and this is also true when it comes to Fennel. 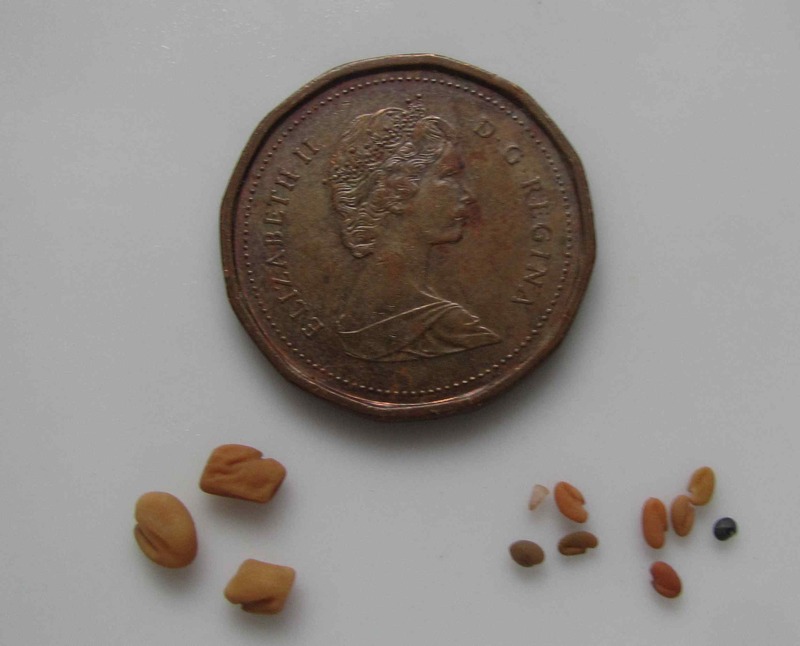 I have two varieties in my kitchen and the seeds of one, from Lucknow, in India, are half the size of the other. Since there is little difference in taste between the two, I naturally chose the smaller ones for this blend. Although one can certainly grind the spices for use, in Indian cuisine, whole spice blends like this are used in two ways. First, they are fried in oil (or ghee) at the beginning of the cooking process, with other ingredients (including other spices) being added later. In the second method, the spices are again fried in oil but then, in a process known as ‘tempering’, poured over a finished dish (sometimes being stirred in) just before service. Panch Phoron is commonly used for cooking greens and other vegetables (it is very nice with potato) and, as a tempering agent, is frequently used in dals. In Bengal, it is employed to season fish but only rarely for meat. Tradition and ‘authenticity’ aside, though, it is actually a very useful seasoning for chicken and beef. After blending my panch phoron for this post, I used a little with some ‘shell-on’ freshwater shrimp as a private snack for myself. I simply fried the spices briefly in a butter until they were toasty (but not overly browned) and then threw in the shrimp along with some chopped parsley. 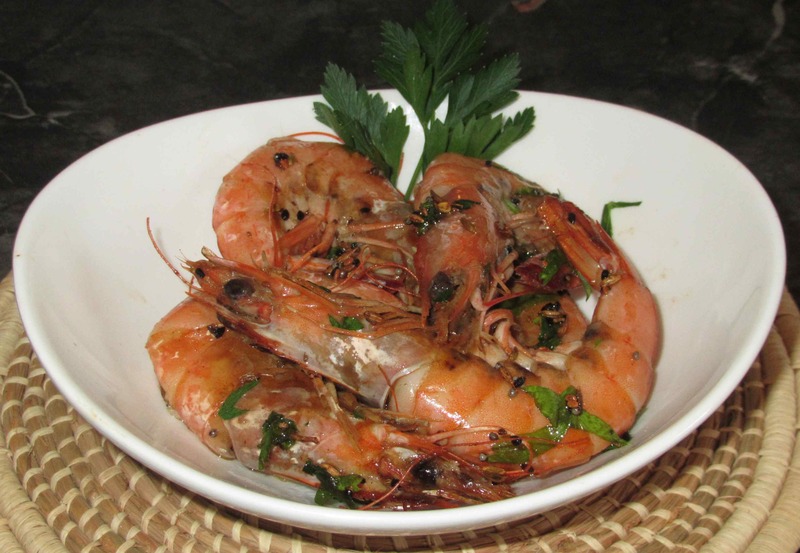 The result especially delicious with un-shelled shrimp as the process of removing the shells using ones teeth and tongue along with fingers really allows you to savor the aromatic pungency of the spice blend. 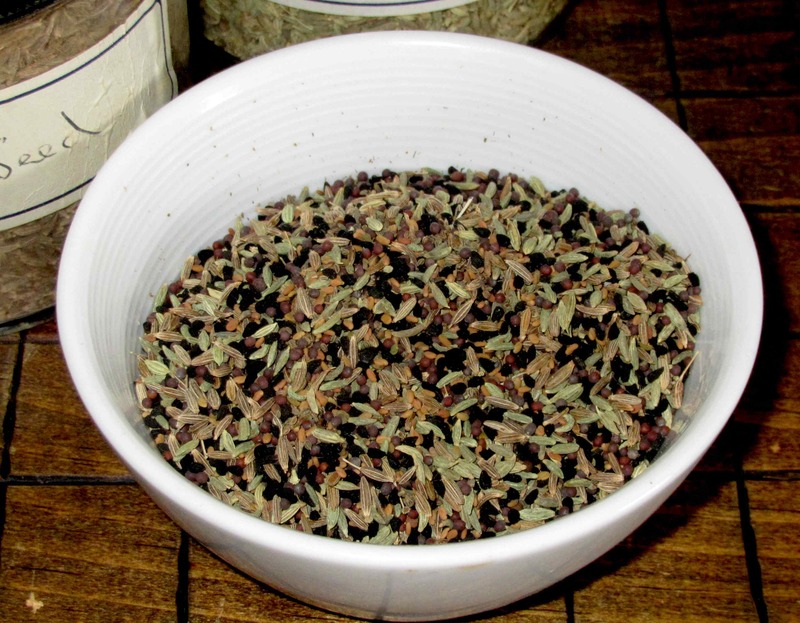 Panch Phoron is on of my FAVORITE Indian spice blends EVER. I actually never knew anything about it until my twenties, as my folks were south Indian. Such a beautiful balance of earthy, smokey, with the fennel anise touch. Mine too … I use it ground as well! Loved your shrimp picture. Hugs. that’s great information–thanks for sharing. Love that so much can be learned from other bloggers 🙂 Am off to google “nigella” as up to know I’ve only known it as a name! Anyone who would go to the trouble of making such a lovely “private snack” for themselves a top-o-the-line foodie in my book. We might even be related! Lovely post and inspiring photo too. I’ve just gotten into blending my own spices and using whole spices so I will try this for sure. Also I just love celery seeds and that seems l likely addition to your blend. I love celery seed too. I’ve actually just written a post about it but it is in the ‘post-queue’ and won’t appear for a couple of weeks yet. At first I thought I was looking at rice in the bowl. The blend is just beautiful! I look forward to making this concoction for myself, but also as a gift to a few culinary savvy friends. I can almost smell the fragrance in this combination! Making attractive gift packages is a great idea. Especially as you can personalize the spice proportions! Beautiful, beautiful, John! I always keep forgetting about being able to make your own spice mixes . . . but teaching has been insane lately and not much cooking has been happening. Can’t wait to get through these last two weeks of the semester so I can get back in the kitchen!